If you know someone who graduated from AHS in Arcadia, CA that has passed away, you can create a memorial for them. There are currently no memorials for Arcadia Arcadia, CA alumni. 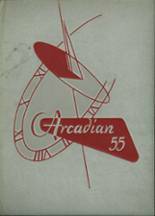 The Arcadia alumni site is made so that students and teachers from the Arcadia high school can reconnect with those that they met while attending high school. If you are a former student of Arcadia in Arcadia, California, register now to add your name. 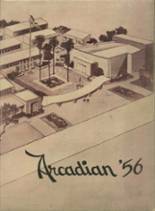 Don't forget to upload your Arcadia High School pictures and check on the latest info about any Arcadia High School reunion. Jason Dunham has someone searching for them. Jose Guardado has someone searching for them. William Sumner has someone searching for them. Marlene Jensen has someone searching for them. Denise Ledyard registered as a AHS Class of 1969 alumni. Denise Ledyard added photos to their personal photo gallery. Larry Byles updated his profile picture. Larry Byles added photos to their personal photo gallery. Larry Byles registered as a AHS Class of 1966 alumni. 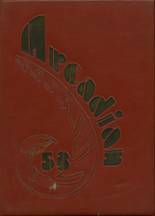 Richard Schott added reunion information for the AHS class of 1959. Richard Schott registered as a AHS Class of 1959 alumni. Steve Moline added a memory of Larry Stout. Steve Moline registered as a AHS Class of 1966 alumni.